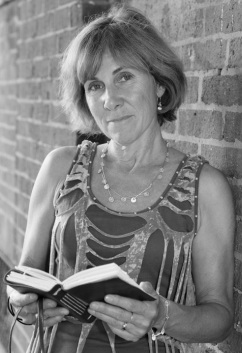 Mary Ann (Maitland) Mayer is a native of Lincoln, RI and the author of three poetry collections. Kissing the Shuttle – A Lyric History (Blackstone River Books, 2018) explores the nexus between textile mills, tuberculosis, and the early public health movement— described by the Historian Laureate of RI as “a blend of both triumph and tragedy.” Her other titles are Salt & Altitudes (Finishing Line Press, 2014) and Telephone Man. Mary Ann’s poems, essays, and translations appear widely, most recently in anthologies published by Frequency Writers, Ocean State Poets, and the William Joiner Institute for the Study of War and Social Consequences. Also in the Providence Journal; Salamander (Suffolk Univ. ), Off The Coast, Smoky Quartz and others. She is honored to have her co-translation of Leonard Nathan’s poem “From The Mountain” forthcoming in a German literary journal, WendePunkt.T – and installed in the Alpinarium museum in Galtuer, Austria –a memorial to thirty-eight who perished in an avalanche. Mary Ann has been nominated for a Massachusetts Book Award, received Boston’s GrubStreet “Blue Period” prize, and a Massachusetts Cultural Council Artists Grant. She has been a finalist with Tupelo Press and for The May Sarton New Hampshire Book Award. A retired occupational therapist, since 2016 she has served as an editor for Crosswinds Poetry journal, and member of the Ocean State Poets since 2013. Sun glinting off a wooden loom. my love, I watched you. that suddenly no longer smelled of paint.